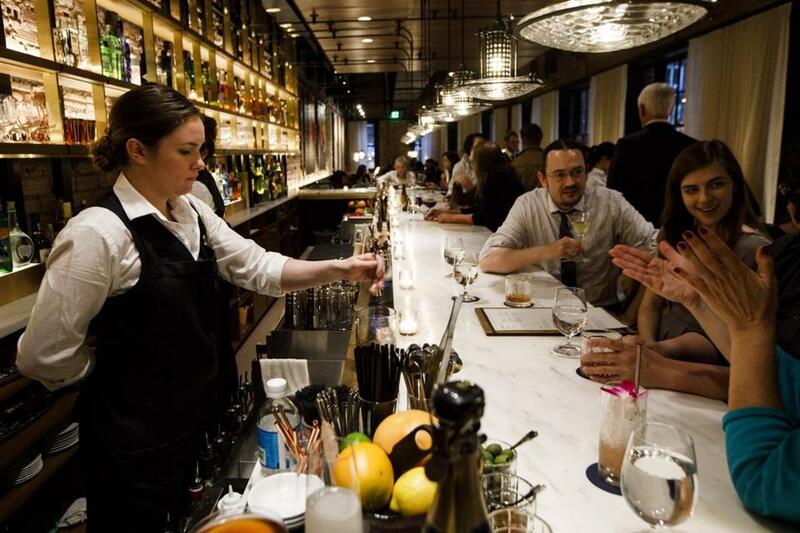 Massachusetts is looking at a radical overhaul of its byzantine alcohol laws. The price of beer, wine, and liquor in Massachusetts would increase, but unpopular restrictions on the sale of alcohol would go away, under a radical proposed overhaul of the state’s byzantine booze laws that’s expected to be unveiled by a government-appointed task force Thursday. While most of these measures would need approval from the Legislature, they nonetheless represent the most extensive official rethinking of alcohol rules in Massachusetts since many were put in place at the end of Prohibition in 1933. “Massachusetts appears to be experiencing a moment of openness to reform of liquor licensing laws, and a rejection of the status quo in situations where the 1933 laws no longer make sense,” the task force said in its report, acknowledging the modest loosening of rules governing the sale and shipment of alcohol in the state made by the Legislature recently. The task force was convened in January by State Treasurer Deborah Goldberg, who oversees alcohol regulations, following a series of scandals and controversies in the industry. She gave the group free rein to design a “21st-century” system of regulation and appointed seven lawyers and state officials who have no connections to the alcohol business. Businesses, lawyers, public health advocates, and others who advised the task force through working groups were surprised by the scope and depth of its final recommendations, although many declined to comment in detail until they could study the report, which has several hundred pages. One provision would ease the prohibition on alcohol producers, distributors, and retailers owning other licensed businesses outside of their segment of the industry. That would allow, for example, a producer to own up to 10 percent of a retail or distribution company. “For all the work that the task force and working groups put in, they don’t have the power to simply change anything,” Luz said. Officials in Goldberg’s office said the treasurer may move quickly to push for less controversial improvements, but is likely to take more time to develop legislation for the more complex proposals. They said she might also recommend that others not be adopted. Among the more controversial proposals are the excise tax increases, which will probably draw backlash from different quarters of the alcohol industry. Massachusetts has among the lowest alcohol excise taxes of any state, which are levied at the wholesale level, on a per-gallon basis. For beer, the task force recommends increasing the tax to 16 cents a gallon, from 11 cents; to 82 cents a gallon on wine, from 55 cents; and to $6.07 a gallon on liquor, from $4.05. The changes would boost annual alcohol tax revenue to about $125 million, from $83 million. The task force also tried to resolve a longstanding battle between beer wholesalers and brewers over distribution rights. Current law essentially binds brewers and other alcohol producers to their distributors in perpetuity after a trial period unless they can prove the wholesaler meets one of several conditions, such as failing to “exercise best efforts” to sell their products. The task force recommends relaxing those requirements. “The task force agrees with . . . the need for significant franchise law reform and clearly defined parameters to govern the relationship between brewers and distributors,” said Rob Burns, president of the Massachusetts Brewers Guild, an industry group that represents makers of craft beers. Public health advocates deluged the task force with comments, demanding higher prices, fewer alcohol outlets, larger fines for selling to minors, and other measures they say would discourage alcohol abuse — which they say costs the state billions of dollars. For example, the fine for selling to a minor is $2,000 per offense. The task force recommends increasing that to about $2,900, to adjust for inflation. In another example, the current fine for using a false identification card to obtain alcohol is $300. It would go to $1,250. The task force endorsed many of the proposals by health advocates, including one that would ban discounts from wholesalers to bars and liquor stores, which would partially rob chains such as Total Wine of their size advantage over mom-and-pop package stores. The task force would also outlaw loyalty cards and other discount programs for consumers, saying they tend to increase alcohol consumption. “On balance, the threat to small business coupled with the public health and safety dangers posed by discounted sales outweigh the minimal consumer benefit,” the task force wrote in its report. Representatives of owners of small package stores had also backed these restrictions. But Total Wine, which has been lobbying the state to allow such programs, issued a rebuke. “Responsible consumers of beer, wine and spirits should have access to valuable discounts, retailer coupons and loyalty programs like customers in virtually every other segment of the retail sector,” the company said in a statement. Under the proposal, a portion of the money reaped from higher fines and taxes would go toward public health initiatives. Another portion would help beef up the chronically under-funded ABCC, so it could more quickly process license applications and hire 30 additional enforcement officers. Currently, the ABCC has just 15 investigators, or one for every 800 alcohol retailers, far below the national average of one for every 261 bars, restaurants, and liquor stores. The task force declined to address the controversial quota system that caps the number of alcohol retailers in most Massachusetts cities and towns. That pleased both public health advocates and existing retailers, who fear that additional competitors would undermine the value of their licenses. Another measure would require applicants for new retail alcohol licenses to submit an analysis of how the addition of another outlet would affect the health of the surrounding community. But the task force went against health advocates by also suggesting changes that would make it easier to find and buy alcohol, including allowing more grocery stores to sell alcohol. Under current state law, grocery chains can have only seven alcohol licenses, with that number increasing to nine in 2020.